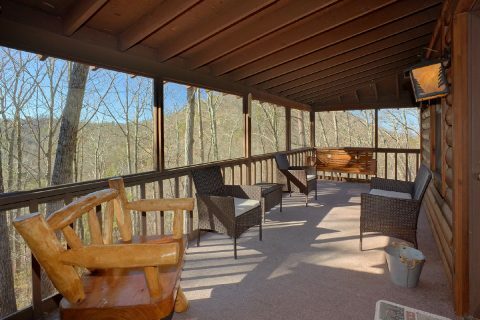 Looking for an affordable cabin that sleeps 8 guests in the Smoky Mountains? 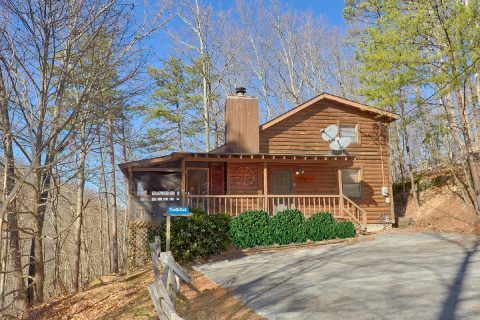 Check out "Cozy Hideaway," a 3 bedroom cabin rental with a prime location in the Upper Middle Creek Road area of the Smokies! 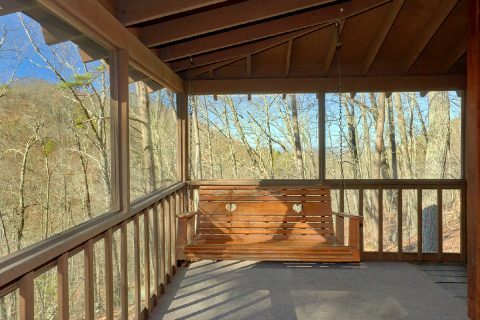 Thanks to this cabin's excellent location, guests can enjoy the beauty of the Smokies while also staying only minutes away from the action-packed Pigeon Forge Parkway. 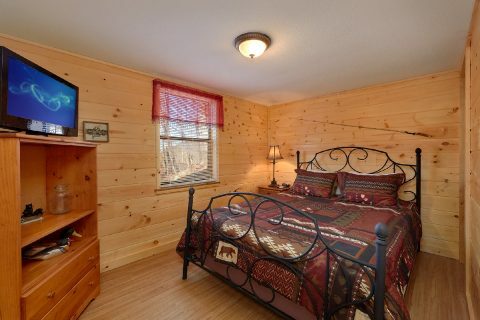 Since this cabin rests only 5 miles from Downtown Pigeon Forge, you'll have no trouble finding great attractions, shops, and restaurants during your stay. Better yet, top destinations like Dollywood and Gatlinburg are also only a short drive away via lovely back roads. 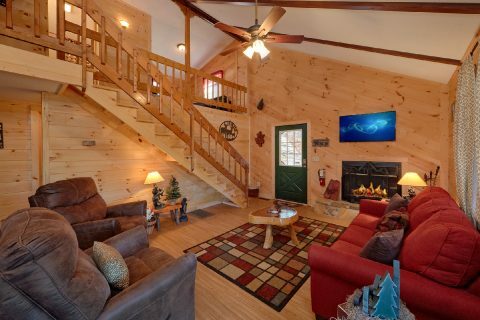 After a great day spent hiking in the Great Smoky Mountains National Park or shopping at Tanger Outlets, you'll love returning to this cozy cabin in the Smokies. 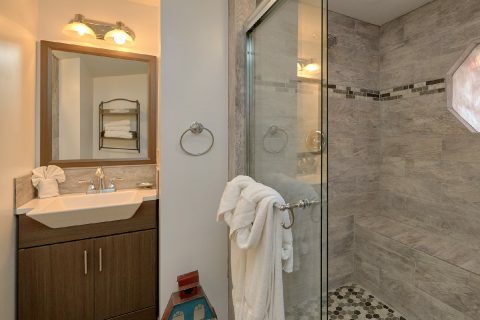 Enter into the welcoming living area where you'll find a warm, wood-burning fireplace, a television, and comfortable furnishings. 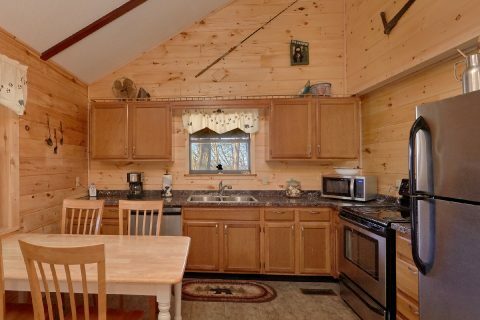 In the main-level kitchen, you'll find everything you need to prepare delicious meals in the comfort of your rental. 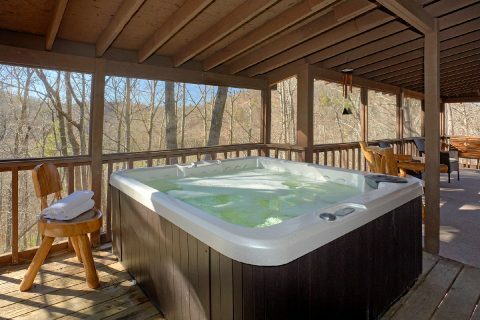 For some real relaxation, simply step out onto your cabin's covered back deck where you can take a dip in the hot tub or simply sit back while you take in your cabin's wooded views. 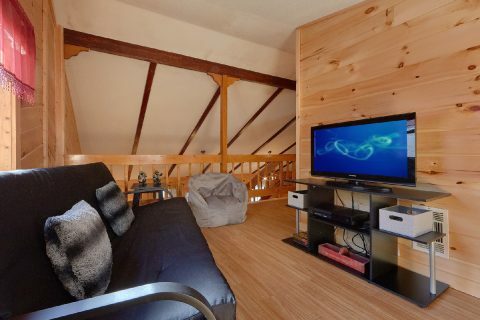 For some more unwinding, you can also head upstairs to watch your favorite movies or shows in this cabin's movie room. 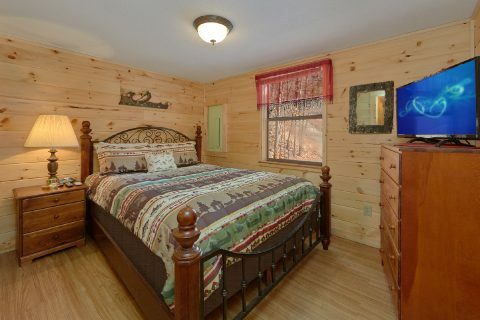 To stay well-rested during your Smoky Mountain vacation, you can look forward to sleeping in one of this cabin's 3 queen-sized bedrooms. 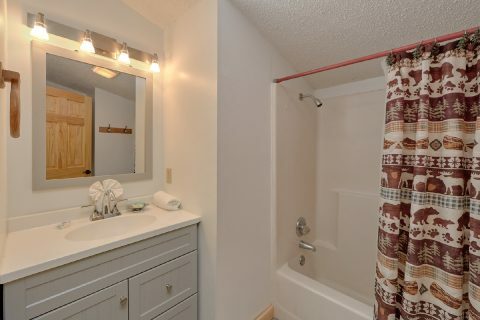 On the main level, there are two bedrooms and upstairs there is a third bedroom. 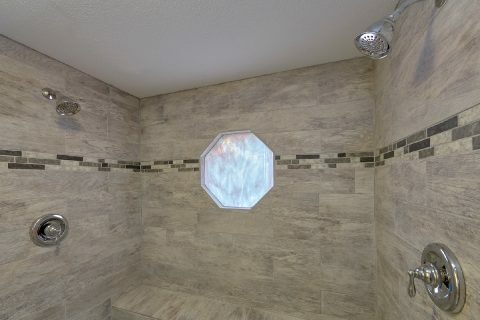 One of the bedrooms on the main level even boasts a private bath with a spacious, custom-tiled shower Lastly, this cabin provides a sleeper sofa and a futon to accommodate extra guests. 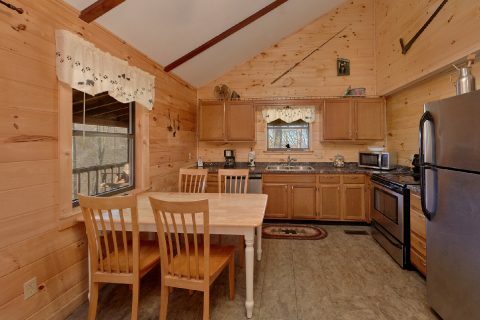 Altogether, "Cozy Hideaway" can sleep up to 8 guests in comfort. 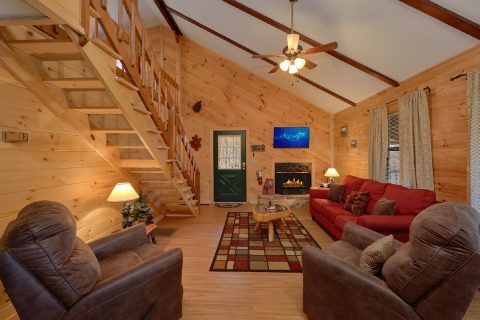 Start planning your affordable trip to the Smokies today by booking "Cozy Hideaway." 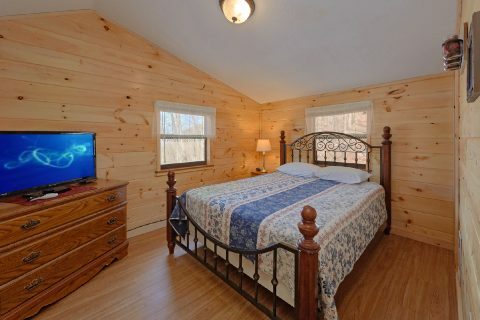 Best of all, you can save even more on this affordable cabin when you earn our special 15% discount on your nightly rate! Book today & save!